This is a list I've been agonizing over. Writing names down. Walking away. Coming back to take another look. Crossing a name out and adding another. Lather, rinse and repeat. I've always said that my least favorite literary question to be asked is "What's your favorite book?" For voracious readers, that's exactly like asking a mother which is her favorite child. I normally avoid these lists like the plague because narrowing down an extremely crowded and excellent field down to a mere ten hurts! It's been years since I've done it; however, so I thought it wouldn't hurt to take a look at the results. Once I finally had results I was (kinda sorta) happy with, that is. This time I'm listing them in alphabetical order because I know that "the order in which they popped into my mind" can still denote a degree of preference. I'm showing the book cover of the newest book in these series, and in the caption beneath each cover, the beginning digits are the number of books currently in the series. 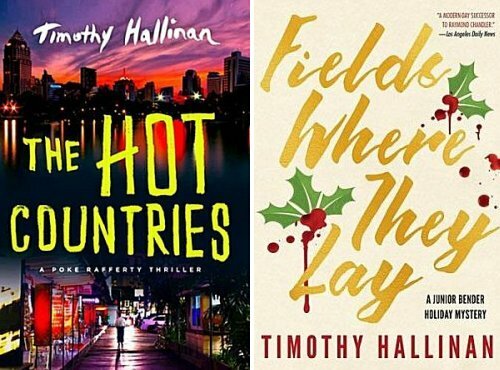 Anything I have to say after those numbers will be linked to the page on the author's website that talks about all the books (except in Timothy Hallinan's case). Is there anything you should keep in mind before looking at this list of mine? I am a character-driven reader who prefers mysteries with a strong sense of place. Those of you who find yourselves nodding at some of my choices will see what I mean. Let's get this show on the road, as my Grampa would say! #6-- I've rated no book in this series less than an A! #15-- I always look forward to a new Owen & Spot book in August! #17-- The absolute best pair of coppers working in London! #7-- An unflinching look at the beautiful country of Brazil. Gage died in 2013. I miss him. #9-- Such a character-rich environment! Poke Rafferty #7, Junior Bender #6. Both characters & settings are extraordinary. #16-- Long live Sheriff Walt Longmire! #4-- Superb 17th-century setting & filled with laugh-out-loud humor! 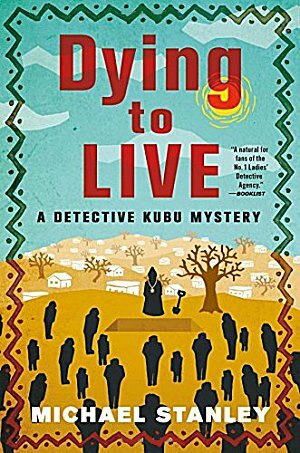 #6-- Long may Detective Kubu solve crime in Botswana! What do these series have in common besides being well-told tales filled with wonderful characters in settings that make you feel as though you're right in the middle of the story? Consistent high quality... and I make a point of being caught up with all of them. Of course two of the series are no longer being written, but I'm current on all the rest. 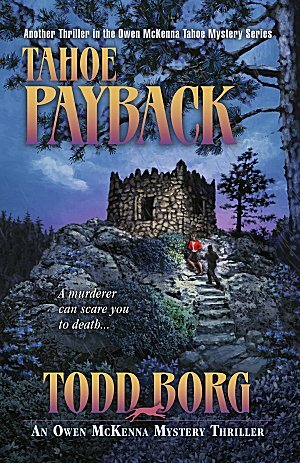 How does my list of favorite mystery series stack up against yours? Do we have any in common? Which ones? Which series did I not list that you think I should try? And... did I tempt you to try any of my favorites? I hope so! I might have to have a go at coming up with a similar list - though I do agree it would be hard to narrow it down. Of your favourites I have never read anything from either the Craig Johnson or Fidelis Morgan series - both are on my radar but I've never gotten around to them. Given that I'm probably not going to read all of either one from the beginning can you recommend a good place to start? Especially with the Johnson which is up to a daunting number of instalments by now. Of the rest a couple would probably make my own favourites list and the others might only miss out by virtue of space - or the fact I haven't read enough of the books to qualify. You've tasked me with a difficult one! After much pondering, I'd suggest either Unnatural Fire or The Rival Queens from Fidelis Morgan's series, and perhaps one of Johnson's novellas-- like Spirit of Steamboat. I love Shamini Flint's series, too, and thanks for mentioning Hans Olav Lahlum. I'll be taking a look at his books! I really like your list, Cathy. I'm glad to see Johnson, Penny, Bingham, Hallinan and Griffiths there. I don't do this sort of list, but if I did, they'd probably be on mine, too. And I agree: characters can really add that special something to a series. Oh Cathy, I love it that you made a list. Thank you. I have read 6 of the series on your list. A few of them, I recently read the first book and plan to continue because they all were good. You said something about being caught up with these series. I thought about that and my top three series I am caught up with and will read the new book when it comes out right away. The top three that I mentioned are the Ruth Galloway series by Elly Griffiths, the Maeve Kerrigan series by Jane Casey and the Cal McGill series by Mark Douglas Home. 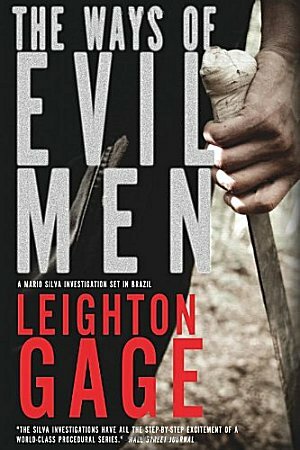 All of the Jane Casey books are good but it seems like the series keep getting better and better. One series that maybe is too early to mention as there are only two books right now is Larry D. Sweazy's Marjorie Trumaine series. I really admire the character of Marjorie Trumaine and if and when the next book comes out, I will be eager to read it. Both of the current books were 5 stars reads for me. 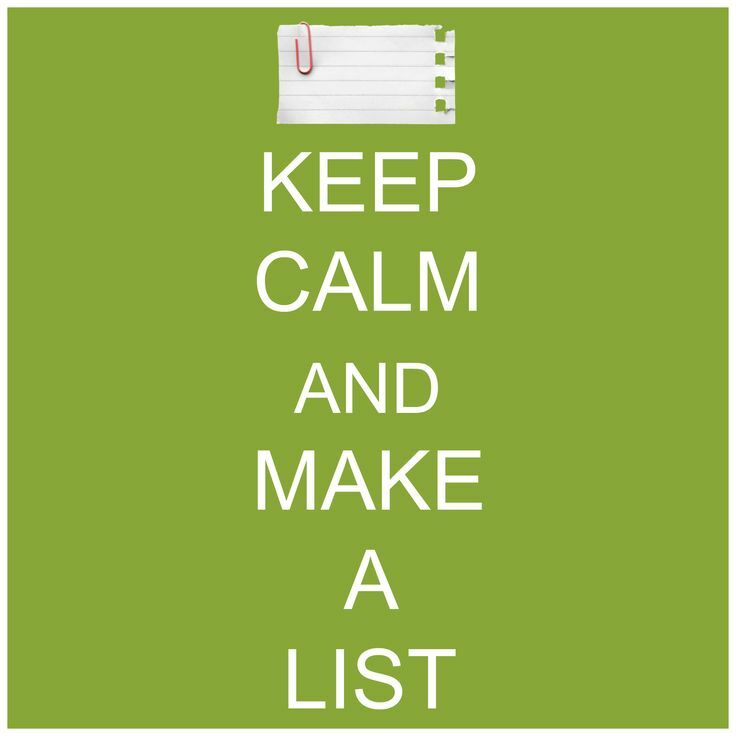 Like Shamini Flint, Mark Douglas-Home didn't survive my list restructuring. I can't remember if I've read Jane Casey or not. I'll have to take a look. We share a lot of reading DNA, Lynn, because Larry D. Sweazy's series would have been considered for my list if there'd been more than two books. The lowest I'll go to include a series is three books. We have 3 in common, Elly Griffiths, Craig Johnson and Deborah Crombie. Like one of the folks above I would add Jane Casey's Maeve Kerrigan series and I've gotten hooked on C.J. Box's Joe Pickett series. I really enjoy Joe Pickett when I read one of Box's books, but I don't have the burning desire to keep returning to the series. I'm not sure why. And that's another vote for Casey. I'll definitely have to take a look at my TBR shelves. I wouldn't be surprised to find her lurking there. Interesting list! I haven't read any of them, thanks for sharing with us. Naturally I agree on Craig Johnson, Elly Griffiths and Louise Penny. Have just ordered the first Fidelis Morgan book from AM... not heard of that series and it sounds great. I love it. It's long been right up at the top of my favorite historical mystery series. Those great characters and sense of place! I find so many familiar and new books here, glad you have such wonderful reading taste! I know it's hard to pare down the list, but I would try to add the unsung Billy Boyle and I am always pleased with the Maggie Hope stories as well. I considered adding Maggie, too. (I told you the whole process was PAINFUL! LOL) I started reading the first Billy Boyle but the poor man didn't light any fires for me. I'm still tempted to go see him when he's appears at The Poisoned Pen, though. Ruth Galloway stars in one of my favorite series, as written by Elly Griffiths. And my favorite series are Donna Leon's Guido Brunetti's mysteries and Sara Paretsky's V.I. Warshawski's adventures. I have read every book in both series, and will drop everything to get a new book in either series. But my likes -- so many series where I've read a few books or most include Liza Marklund's books, Helen Tursten's, Arnaldur Indridasson, Fred Vargas, Eva Dolan, Andrea Camilleri, Angela Savage, Sarah Ward, Denise Mina. There are so many others I've enjoyed over the years. 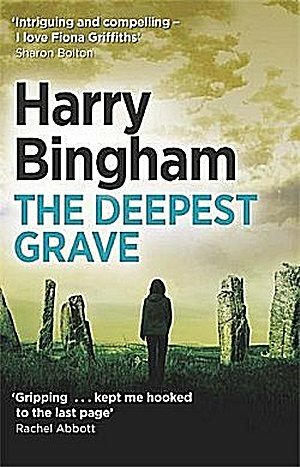 And of series where I've read only a few books, Harry Bingham's books are riveting. I just can't keep up with all the series I want to read, and then your list and the comments add more I want to start. I find comfort in the fact that I'll never be able to read all the books that I want to read. It means that I'll never run out. In your list of likes, you mentioned series that didn't make the final cut of my own list, and--it may sound odd-- but through your comments over the years, I knew that you'd choose Leon and Paretsky as your favorites. You've figured me out but even though I relish Leon and Paretsky as much as chocolate frozen yogurt, enjoying every morsel, there are other authors whose books I like. I have read every Ruth Galloway book, and I adore her character and life in the salt marsh. And I've read nearly all Salvo Montalbano books by Camilleri, and I enjoy them. I've enjoyed Denise Mina's series books and have read all of those. I wish Angela Savage would finish her Ph.D. program so more Jayne Keeney books would be published. I'm waiting for Sarah Ward's third book. I've liked all three of Eva Dolan's books and am awaiting her stand-alone. And I forgot Peter May. I loved his Lewis Trilogy, want him to write more about Finlay MacLeod. And I fell in love with Scotland while reading those books. So, while I scoop up Leon and Paretsky's pages with a spoon, I have other favorites. Leon's latest book, "Earthly Remains," is different and some have said it's her best book. It is a nature-lover's delight, but sad about environmental pollution. Beautiful descriptions of Venice's canals and islands, and for you -- of bird life. Now you've really got me interested in reading Earthly Remains. It is indeed agonizing to prepare a Top 10 list. I have so far read 7 out of these 10. Harry Bingham, Craig Johnson and Deborah Crombie would certainly be in my top 10 list too and I am now desperate to read the remaining especially Fidelis Morgan. There are 2 series that definitely would be in my Top 10 - Ian Rankin's John Rebus and Sjowall and Wahloo's Inspector Martin Beck. Both excellent choices. I've read only one Sjowall & Wahloo-- Roseanna-- and I really liked it, but I haven't made my way back to the series to read more. I need to change that! I've seen Ian Rankin twice at my favorite bookstore, and I think he's great, but one of the few dislikes I have about my reading is an alcoholic main character. But I like Rankin so much that I really need to give Rebus another try. 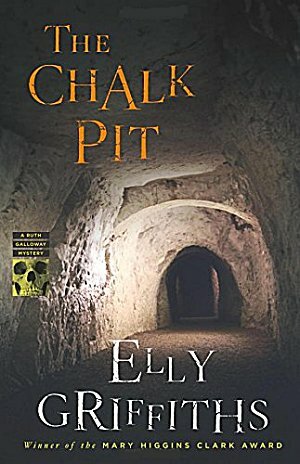 I've begun reading the Ely Griffith series, Cathy - possibly because you might have mentioned it in the past? I'm on the third book - or at least I brought it home from the library a few days ago. 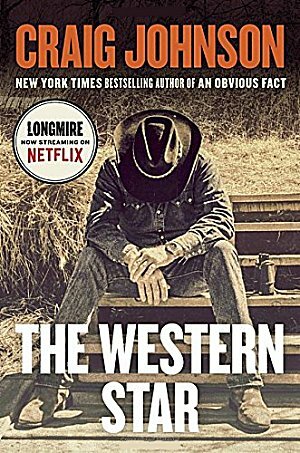 I want to read the Craig Johnson series just haven't gotten around to it. 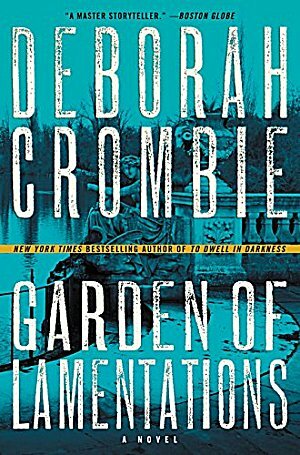 I did try the Deborah Crombie books but couldn't really like her writing style - but at least I gave her a try. 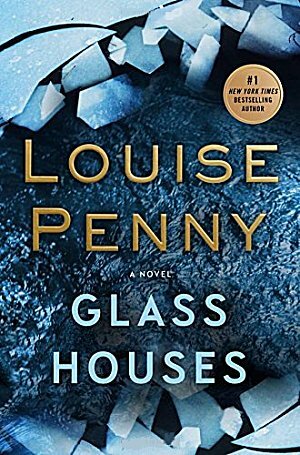 I love the Louise Penny books - most especially listening to them on Audible. Haven't gotten to this latest one yet, but I will. 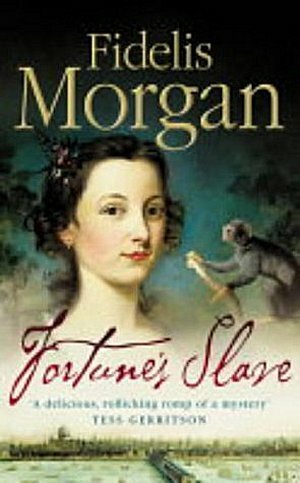 AND I've added the Fidelis Morgan books to my main books list on Pinterest which is where I keep track of books I want to read at some point. I've never heard of this series and I'm intrigued. I've talked about the Elly Griffiths series many times, Yvette. The Fidelis Morgan series has one of the best evocations of place I've ever read. Good mysteries-- and I lost count of the times I laughed out loud. I hope you enjoy them! There are so many great series, It's hard to pick just ten. I Like the Inspector Banks Series by Peter Robinson, Dana Stabenow's Kate Shugak series, Laura Lipmann's Tess Monigan series, William Kent Krueger Cork O'Conner, Michael Connelly's Harry Bosch, Barry Eisler's John Rain Series, Steve Hamilton's Alex McNight series, Martin Walker's Bruno Chief of Police, Ann Holt's Hanne Wilhelmsen, Phillip Kerr's Bernie Gunther and many more as well as several of the one's on your list. Thank you so much for responding because--along with the ones that I've enjoyed-- you listed some series that I haven't read before, so I'll be taking a much closer look at those!